If you have been keeping abreast with the latest trends in the diet and nutrition world, then you must be aware of the alkaline diet for weight loss. A number of global and national celebrities have claimed that following an alkaline diet is better for staying in shape as well as for overall health. The diet is based on the fact that the foods we eat can affect the acidity of our body, which means that it can effectively bring about a change in the levels of pH of our body. It is said that an alkaline pH is good for the immunity and may help prevent the onset of illnesses. It is also said to detoxify the body and prevent acidity and other digestive troubles. The diet involves eating a number of healthy foods, including raw foods, plant-based proteins, and fresh fruits and vegetables. 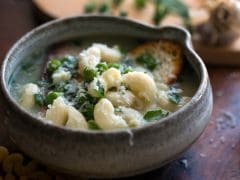 The diet doesn't allow the consumption of alcohol and caffeinated drinks, and also bans processed cereals, sodium-rich foods, processed meats, as well as unhealthy carbs like pasta, rice, white bread and other processed grain products. If you have been following the alkaline diet for weight loss, then you may be facing some problem in devising recipes that qualify, as the diet is quite restrictive. 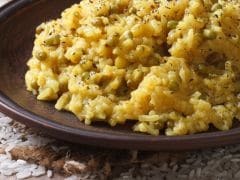 Celebrity nutritionist, Rashi Chowdhary recently posted a recipe that people following the alkaline diet will love. The recipe includes easily available, all-natural ingredients like cucumber, celery, mint, ginger and lemon. Talking about the green juice, Chowdhary wrote on Instagram, "The most alkaline but also the most nasty juice I recommend to a lot of my clients." Chowdhary recommends adding the above-mentioned ingredients to 200 ml of water along with some Himalayan salt. Some people have claimed that the pink salt, or Himalayan salt, is better than regular table salt and that it can help in balancing the pH of the body. It contains more minerals than the latter, including potassium and calcium. However, eating too much Himalayan salt is also bad for the body, so users are advised to exercise caution, even while consuming pink salt. 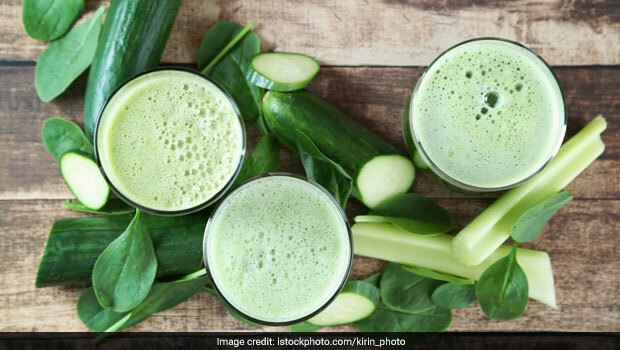 Chowdhary recommends consuming this green alkaline juice fresh and as soon as it is prepared as some of the nutrients may get oxidised, if it is stored for a long period of time. The juice is very low in calories, as both cucumber and celery are negative calorie vegetables. Rashi adds, "DO NOT add any fruit unless it's pre or post workout! If you need to add a fruit...then few slices of pineapple or an orange or a green apple go really well." Well this is a recipe that perhaps all of us can try, whether we are following the alkaline diet or not.